If it’s Saturday, it must be Katsucon. If it’s Sunday, it has to be Farpoint. It was another big weekend for FANTASTIC FORUM. 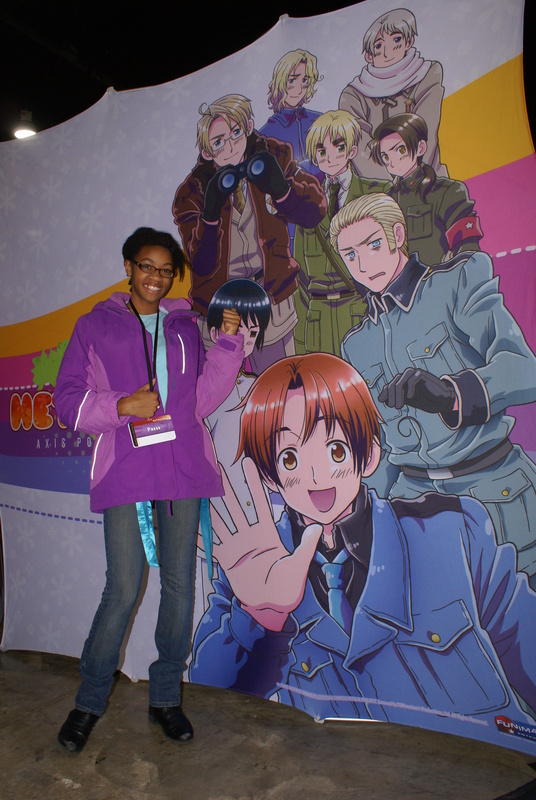 Two conventions graced the DC/Maryland area as anime convention, Katsucon, was held at National Harbor’s Gaylord Resort and sci-fi con, Farpoint, took place at the Crowne Plaza in Hunt Valley. And I was nutty enough to attend both. Katsucon is the official home of the 2013 US Finals of the World Cosplay Summit. And as one might imagine, the convention is consistently one of the better shows for costuming. In fact, I actually attended in costume myself. This is significant as I am a longtime costumer and haven’t done so in many, many years. 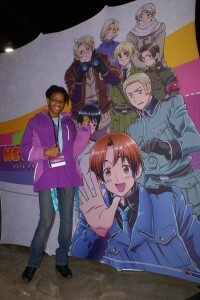 I decided to go all out as my 12 year old daughter (who is a big anime fan) learned that there wasn’t a restriction against her attending and decided she wanted to go. So we made this her very first convention. She didn’t have a costume but she already has a ton of ideas about what she wants to make. Like father, like daughter. The other show in the area this weekend was a wonderful science fiction con with Star Trek roots. In fact, it takes its name from the pilot episode of TNG. And I happened to enjoy an, “Encounter at Farpoint.” I’ve been a conventioneer since the first Marvel Comics Convention in New York City back in 1974. I really hit my stride afterwards with a number of Creation Conventions and a couple of World Science Fiction Conventions. But made some great friends in those heady days following the release of Star Wars in 1977 as we all were cosplaying Rebels or Imperials. Mike McPhail was one of the friends that I made and he and I reconnected at this show. Mike is an author, editor, engineer and gamer and his wife, Danielle, is an award winning, genre author and editor. You may visit her website at: Danielle Ackley-McPhail Website It was a delight to see Mike and meet Danielle. They regularly attend conventions in the NY, NJ, PA, MD area and it’s likely that you may have already run into them if you get out to shows in those areas. 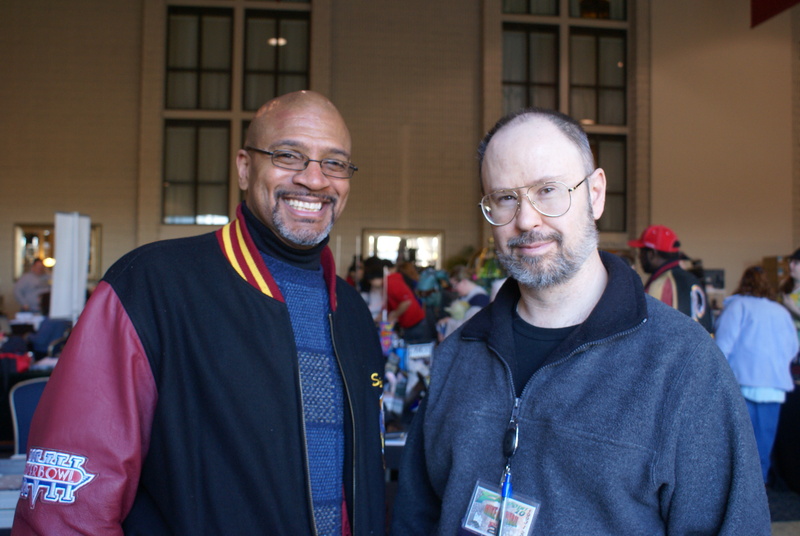 Farpoint is a fan run convention that was established in 1993. Their focus in on fandom and their mission to educate, encourage and enable. The show always features guests from the industries that bring imagination into the mainstream and this year was no exception. Even though we arrived late, Billie Rae Bates was able to catch actor, Giancarlo Esposito, before he had to depart to make an airline flight. You’ll see it on an upcoming episode. So we’re into the convention season in earnest. A bunch of shows coming up in the next couple of months. We’ll hope to see you there. Feel free to step up and introduce yourself. Keep watching, the best is yet to come!